The Hunter Balmoral Neoprene Welly is a rugged boot with a sole modelled on that of walking and climbing boots and a 3mm neoprene lining. 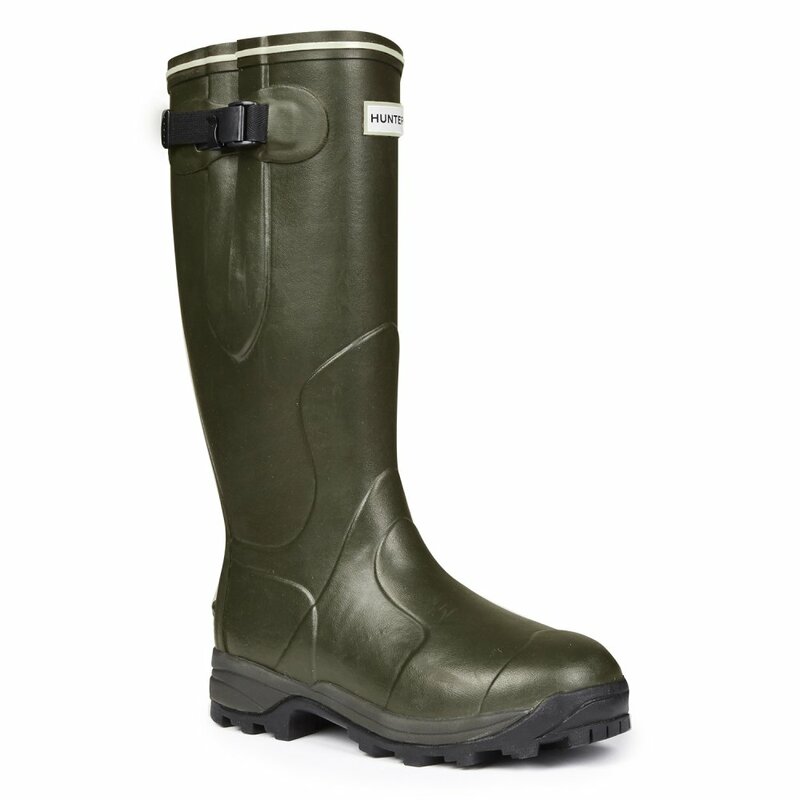 The Hunter Balmoral Neoprene has all of the benefits of the Balmoral Classic but with a warmer neoprene lining. The Balmoral has a leather-look finish and is made from a closed cell construction, neoprene is famed for its insulating properties that not only keep the legs warm but also helps create a snug fit. The Balmoral is sold with both a 3mm and 6mm insole to enable the wearer to vary their fit and shock absorption level, depending on terrain and seasonal requirements. The rubber outsole is specifically designed for exceptional grip and protection.